I found it somewhat odd that this tank wasn't built with a more conic shape to channel rain water away. 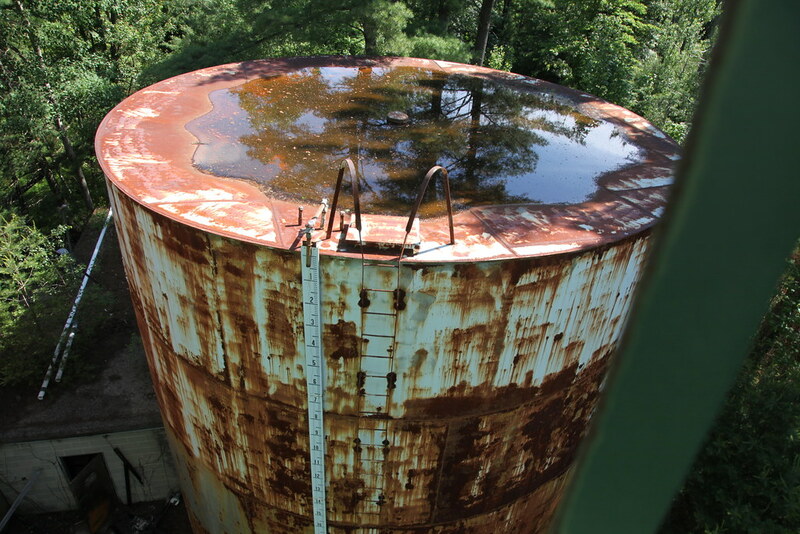 Instead, water accumulated on the top of the tank near the ventilation at the top of the tank. These tanks stored water exclusively for the automatic sprinkler system. I used to think they were overkill, but I guess it really does take that much water to protect a facility this size.